Currently in growth mode, the commercial aerospace market faces unique challenges on the customs front. 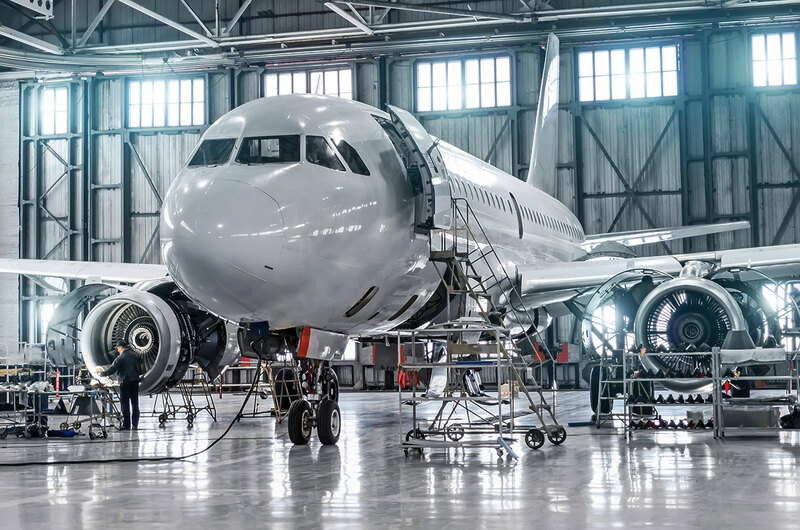 Here are the major obstacles and how a reliable logistics provider can help aerospace manufacturers optimize and streamline their supply chains. Aerospace manufacturers have a lot on their plates right now. Evolving customer requirements, order backlogs, a labor shortage, the tariff wars, and high demand for raw materials like steel and aluminum are all pushing companies to rethink their supply chain management strategies. Add to that list a slew of new regulations, compliance requirements, and customs rules—all of which can slow down the supply chain and take a bite out of the aerospace manufacturer’s profits. A sector that reached $685.6 billion (USD) in global sales last year, according to Deloitte, the global aerospace and defense industry’s logistics challenges aren’t limited to new CBP rules and customs compliance requirements. More broadly, companies like Boeing, Airbus, Lockheed Martin, General Dynamics, and United Technologies Corporation (Deloitte’s Top 5 by revenues) are also dealing with more complex supply chains, high levels of competition, and the kind of regulatory rules that—if not followed—can lead to heavy fine and penalties. #1: Supply chain management is getting more and more complex. Product delays; cost overruns; and the growing need for more timely deliveries, parts quality, and competitive costs are all taking a toll on the aerospace sector’s bottom line. The aerospace model itself adds an interesting level of complexity to the supply chain. At the top of the food chain sits the manufacturer, which relies on a finite number of parts to build a single plane. Those parts are built by Tier 1, 2, and 3 suppliers who produce very small batches of products for planes (compared to an automotive assembly line that produces thousands of cars every year). Because just one delayed order can ripple across the entire supply chain, this makes following customs requirements and complying with regulations more critical than ever. Finally, the repair side of the aerospace market (i.e., rotables that are taken off planes, repaired, and then reinstalled) creates its own set of logistical challenges for manufacturers. That’s because the number of repair stations that have these repair capabilities is limited, and those shops are often very small and have limited capabilities to manage the complexities of the current customs environment. #2: Competition is heating up in both the domestic and international markets. Right now, Boeing and Airbus dominate the wide-body airplane manufacturing market, but the competition on the narrow-body side of the market is heating up among key players like COMAC, Mitsubishi, Bombardier, and Embraer. Tanguy points to the recent mergers and acquisitions (M&A) trend (e.g., Rockwell-Collins and United Technologies, Safran and Zodiac) as proof that competition is heating up in that sector. As that trend continues, the number of smaller players that get folded into the end-to-end supply chain will proliferate. Moving goods in a compliant manner that meets all regulatory requirements won’t get any easier. In fact, it will probably become more difficult in the near future. Aerospace manufacturers also need extremely high levels of supply chain visibility—something that’s not always easy to achieve with traditional logistics processes. And, aerospace companies need to know that the documentation is always correct in order to avoid costly transportation delays. “It’s about knowing where your products are and who your suppliers are,” says Anderson, “and the quality of the parts that they’re providing. Without these insights, the aerospace supply chain becomes inefficient pretty quickly.” Working with a reliable logistics provider that has deep import and export experience can help ease these pain points. #3: Ever changing, complex government and industry regulations that can create delays in the supply chain, or require additional resources that have to specialize in non-core competency of an aerospace company. The new Air Cargo Advance Screening (ACAS) program is now a requirement. The programs intent is to enhance the security of aircraft and passengers on flights destined for the U.S. This security measure is to air freight, what Importer Security Filing (ISF) rules are to ocean freight. This information must be submitted electronically to the U.S. Customs and Border Protection (CBP) prior to cargo departing foreign countries destined for the U.S.
Companies should also be aware of U.S. Customs Trusted Trader compliance program. This new program, currently in Phase II of a pilot program, offers enhanced relationships with CBP by integrating Importer Self-Assessment (ISA) and above the CTPAT program. In September CBP outlined a list of proposed benefits of this program, and moving into Phase III next year with select trade partners. “Shippers could realize possible program benefits with customs,” says Anderson, who adds that both the TTP and ACAS are “coming down the pipeline very quickly” and, as such, should be of key concern for aerospace manufacturers that are importing goods into the U.S.
As the aerospace and defense sectors continue to expand, the number of customs complexities associated with these shippers will surely grow exponentially. By aligning themselves with logistics partners that understand these complexities—and that know how to navigate them—aerospace companies can avoid both major and minor supply chain interruptions, keep business flowing smoothly, and preserve their bottom lines. Peak Holiday Season is Here: What’s the Transportation Outlook?